« In May 2431 new titles for the `Archaeological Bibliography´. Evaluated 197 monographs and 100 volumes of periodicals! The site openedition provides direct links to some important French journals of classical archaeology – like “Mélanges de l’École française de Rome – Antiquité”. These links permit free access to the articles of the new volumes, a download as pdf is only possibile via an subscription-based access. 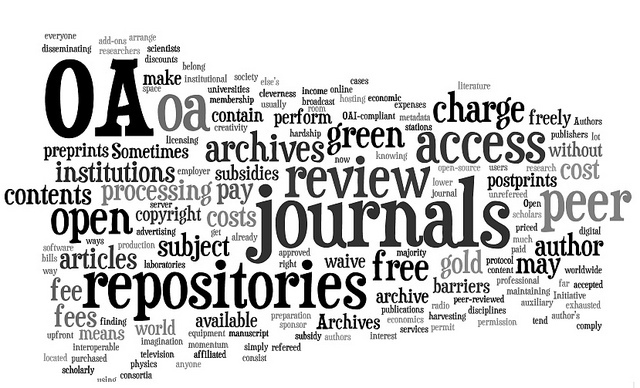 This may be an interesting compromise in the Open Access discussion. We now reference these links to allow you an uncomplicated and immediate access to the scientific content of these journals. Besides in June we have evaluated 235 new monographs and 114 new volumes of periodicals, gaining 2761 new titles for the “Archaeological Bibliography ”. You will find the list of new monographs (also in pdf) and periodicals below as ever. Any advice and suggestions regarding content will be highly appreciated: please mail to Dr. Martina Schwarz. Concerning technical support please contact info@dyabola.de. 14 A.D. Römische Herrschaft am Rhein. Begleitband zur Sonderausstellung 27. Juni bis 19. Oktober 2014. (Köln, Wienand, 2014), ed. Trier, M.; Naumann-Steckner, F.
Ägyptische Königinnen vom Neuen Reich bis in die islamische Zeit. Beiträge zur Konferenz in der Kulturabteilung der Botschaft der Arabischen Republik Ägypten in Berlin am 19.1.2013. (Vaterstetten, Brose, 2015), ed. Eldamaty, M.; Hoffmann, F.; Minas-Nerpel, M.
Alle origini del gusto. Il cibo a Pompei e nell’Italia antica. [Mostra Asti, 7 marzo – 5 luglio 2015] (Venezia, Marsilio, 2015), ed. Campanelli, A.; Mandolesi, A.
Athen und/oder Alexandreia? Aspekte von Identität und Ethnizität im hellenistischen Griechenland. (Köln, Böhlau, 2014), ed. Freitag, K.; Michels, C.
Attualità delle aree archeologiche. Esperienze e proposte. Atti del VI Convegno nazionale (Roma, 24-26 ottobre 2013). (Roma, Gangemi, 2014), ed. Centroni, A.; Filetici, M.G. Behrends, O.: Zur römischen Verfassung. Ausgewählte Schriften. (Göttingen, Wallstein, 2014), ed. Avenarius, M.; Möller, C.
Birinci uluslararasi Anadolu para traihi ve numismatik kongresi 25-28 subat 2013, Antalya. Bildiriler. First International Congress of the Anatolian monetary history and numismatics, 25-28 February 2013, Antalya. Proceedings. (Antalya, Suna-Inan Kiraç Akdeniz Medeniyetleri Arastirma Enstitüsü, 2014), ed. Dörtlük, K.; Tekin, O.; Boyraz Seyhan, R.
Brill’s companion to ancient Greek scholarship. [http://dx.doi.org/10.1163/9789004281929 ] (Leiden, Brill, 2015) 2 Bde.,, ed. Montanari, F.; Matthaios, S.; Rengakos, A.
Buchsenschutz, O.; Chardenoux, M.B. ; Gruel, K. u.a. :L’Europe celtique à l’âge du fer (VIIIe – Ier siècles). (Paris, Presses universitaires de Rennes, 2015), ed. Buchsenschutz, O.
Civitas Aliphana. Alife e il suo territorio nel medievo, 6. [Atti del convegno ad Alife 19 e 20 gennaio 2013.] (Cerro al Volturno, Volturnia edizioni, 2015), ed. Marazzi, F.
Continental connections. Exploring cross-channel relationships from the Mesolithic to the iron age. (Oxford, Oxbow, 2015), ed. Anderson-Whymark, H.
De felicitate animae. Atti del Convegno internazionale. Humanitatis symposium “De felicitate animae”, Genova, 16 novembre 2013. (Grottamiranda, Delta 3, 2014), ed. Del Ponte, A. De la théâtralitè du corps aux corps des dieux dans l’antiquité. (Brest, Centre de recherche bretonne et celtique, 2014), ed. Huet, V.; Gherchanoc, F.
Du bùcher à la tombe. Catalogue de l’exposition organisée au Musée archéologique d’Arlon du 24 octobre 2014 au 22 mars 2014. [Les nécropoles gallo-romaines à incinération en Wallonie.] (Namur, Institut du patrimoine wallon, 2014), ed. Hanut, F.; Antoine, J.L. Egyptology from the First World War to the Third Reich. Ideology, scholarship, and individual biographies. (Leiden, Brill, 2013), ed. Schneider, T.; Raulwing, P.
El arte de la guerra en el mundo antiguo. De las guerras persas a la caída de Roma. (Barcelona, Crítica, 2012), ed. Hanson, V.D. Facetten des römischen Pfandrechts. Studien zur Geschichte und Dogmatik des Privatrechts. (Berlin, Springer, 2015), ed. Harke, J.D. Feasting in the archaeology and texts of the Bible and the ancient Near East. (Winona Lake, Eisenbrauns, 2014), ed. Altmann, P.; Fu, J.
Gesellschaftliche und Umbrüche und religiöse Netzwerke. Analysen von der Antike bis zur Gegenwart. (Bielefeld, Transcript, 2014), ed. Bauerfeld, D.; Clemens, L.
Greece, Macedon and Persia. Studies in social, political and military history in honour of Waldemar Heckel. (Oxford, Oxbow, 2015), ed. Howe, T.; Garvin, E.E. ; Wrightson, G.
Itinerari nella storia. Percorsi archeologici in Valle Umbra. (Foligno, Comunità montana dei Monti Martani, 2015), ed. Albanesi, M.
La Cloaca maxima e i sistemi fognari di Roma dall’antichità ad oggi. (Roma, Palombi and partner, 2014), ed. Bianchi, E.
La diplomatie romaine sous la République. Réflexions sur une pratique. Actes des rencontres de Paris (21 – 22 juin 2013). (Besançon, Presses universitaires de Franche-Comté, 2015), ed. Grass, B.; Stouder, G.
La funzione della pena in prospettiva storica e attuale. Atti del convegno della Società italiana di storia del diritto, Brescia 16 e 17 ottobre 2009. (Milano, Giuffrè, 2013), ed. Calore, A.; Sciumè, A. Labor in studiis. Scritti di filologia in onore di Piergiorgio Parroni. (Roma, Salerno, 2014), ed. Piras, G.
Las ciudades de la Tarraconense oriental entre los s. II – IV d.C. Evolución urbanística y contextos materiales. (Murcia, Universidad de Murcia, 2014), ed. Ramallo, S.F. ; Quevedo, A. Le manifestazioni del sacro e l’età del rame nella regione alpina e nella pianura padana. Studi in memoria di Angelo Rampinelli Rota. Atti del Convegno “Le manifestazioni del sacro e l’età del rame nella regione alpina e nella pianura padana, Brescia, Palazzo Broletto, 23-24 maggio 2014. (Nuvolera, Euroteam, 2014), ed. De Marinis, R.C. ; Rampinelli Rota, A.
L’héroïque et le champêtre, 1. Les catégories stylistiques dans le discours critique sur les arts. (Paris, Presses universitaires de Paris ouest, 2014), ed. Cojannot-Le Blanc, M.; Pouzadoux, C.; Prioux, E.
L’héroïque et le champêtre, 2. Appropriation et déconstruction des théories stylistiques dans la pratique des artistes et dans les modalités d’exposition des oeuvres. (Paris, Presses universitaires de Paris ouest, 2014), ed. Cojannot-Le Blanc, M.; Pouzadoux, C.; Prioux, E.
Orient und Okzident in hellenistischer Zeit. Beiträge zur Tagung “Orient und Okzident. Antagonismus oder Konstrukt? Machtstrukturen, Ideologien und Kulturtransfer in hellenistischer Zeit”, Würzburg 10. – 13. April 2008. (Vaterstetten, Brose, 2014), ed. Hoffmann, F.; Schmidt, K.S. Paesaggi di rovine paesaggi rovinati. Landscape of ruins, ruined landscapes. (Macerata, Quodlibet, 2014), ed. Capuano, A. Per il museo di Ivrea. La sezione archeologica del Museo civico P.A. Garda. (Sesto Fiorentino, All’insegna del giglio, 2014), ed. Gabucci, A.; Pejrani Baricco, L.; Ratto, S.
Permis de construire. Des Romains chez les Gaulois. (Toulouse, Musée Saint-Raymond, 2013), ed. Ugaglia, E.
Piccoli grandi bronzi, capolavori greci, etruschi e romanidelle collezioni mediceo-lorensi nel Museo archeologico nazionale di Firenze. (Firenze, Polistampa, 2015), ed. Arbeid, B.; Iozzo, M.
Quantitative analysis in archaeology. (Chichester, Wiley-Blackwell, 2011), ed. VanPool, T.L. ; Leonard, R.D. Remembering Parthenope. The reception of classical Naples from antiquity to the present. (Oxford, Oxford University Press, 2015), ed. Hughes, J.; Buongiovanni, C.
Shifting genres in late antiquity. (Farnham, Ashgate, 2015), ed. Greatrex, G.
Sowade, H.; Bernstein, F.: Römischer Keller. Neue Funde, neue Fragen. (Bonn, Stiftung Haus der Geschichte, 2015) 68 S., Abb. Space, place, and landscape in ancient Greek literature and culture. (Cambridge, Cambridge University Press, 2014), ed. Gilhuly, K.; Worman, N.
Städte in Spanien. Moderne Urbanität seit 2000 Jahren. (Mainz, Nünnerich-Asmus Verlag, 2014), ed. Panzram, S.
The Cambridge companion to Roman law. (Cambridge, Cambridge University Press, 2015), ed. Johnston, D.
The Cambridge companion to Seneca. (Cambridge, Cambridge University Press, 2015), ed. Bartsch, S.; Schiesaro, A. The Oxford handbook of Roman epigraphy. (Oxford, Oxford University Press, 2015), ed. Bruun, C.; Edmondson, J. The Oxford handbook of the European bronze age. (Oxford, Oxford University Press, 2013), ed. Fokkens, H.; Harding, A.
Trésor? Trésor. Archéologie au coeur de l’Europe. [Exposition Musée Royal de Mariemont, 10 mai – 30 novembre 2014.] (Bruxelles, Safran, 2014), ed. Demelenne, M.; Ansieau, C.
Un medioevo in lungo e in largo. Da Biszanzio all’Occidente (VI – XVI secolo). Studi per Valentino Pace. (Ospedaletto, Pacini, 2014), ed. Camelliti, V.; Trivellone, A.
Vom Trinken und Bechern. Das antike Gelage im Umbruch. (Freiburg i.Br., Universität Freiburg, 2015) Ausstellung Universität Freiburg 26. April – 28. Juni 2013,, ed. Dickmann, J.A. ; Heinemann, A. This entry was posted on July 7, 2015 at 02:28 and is filed under Archäologische Bibliographie, Projekt Dyabola, Update Announcements. You can follow any responses to this entry through the RSS 2.0 feed. Both comments and pings are currently closed.